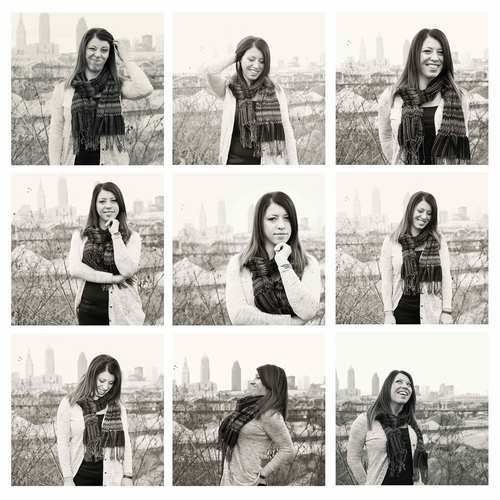 My name is Nicole Follen and I am a Cleveland portrait photographer who specializes in the fine art of visual storytelling, capturing candid moments and lifelong memories found in the littlest details. I have a jolly good time photographing each person's own unique adventure through my camera lens. For myself, there’s nothing better than being able to tell your beautiful story without saying a single word. It’s better when the photographs do the talking. I am a Cleveland native. I was raised in the most Polish proud suburb in the area. I received my BA in Communication Arts and Graphic Design with a minor in Photography from the University of Saint Francis in Fort Wayne, Indiana. I went on and attended the Kendall College of Art and Design in Grand Rapids, Michigan, for my MFA in Photography. I also learned my love for teaching as I taught black and white film and digital classes. After school, I came back home to Cleveland to be with my family and this cute fiancé of mine. Long story short – we got married and now, I live with my Italian husband and my goofy welsh terrier named Drake. So, what do you REALLY do? In conjunction with my freelance work, I teach Photography and Graphic Design classes at a liberal arts college in the Cleveland area. I'm also a Photography Education Consultant and I teach professional photography workshops about current trends in the ever-changing photo world and offer more insight into analog and digital processes. So, if you find yourself feeling connected to the inspiration and photographs in my collection of work, I think we should have a chat – don’t you agree? We could get coffee. Or ice cream. Or even adult beverages. We can talk about beautiful photography times to be shared and had in the glorious future to come.